A room, a chair and a map. 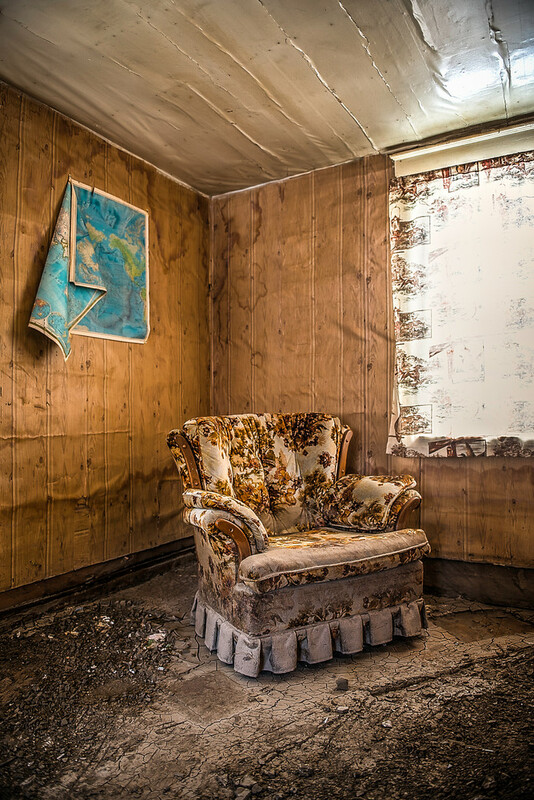 This was an empty room in a recently flooded abandoned house in rural British Columbia. The only things in the room were this chair and the map on the wall. It made me contemplate my own urge to always be moving, wondering if someone else had the same dreams but was confined to a chair or a room. ...or did they finally get up and follow their dreams?